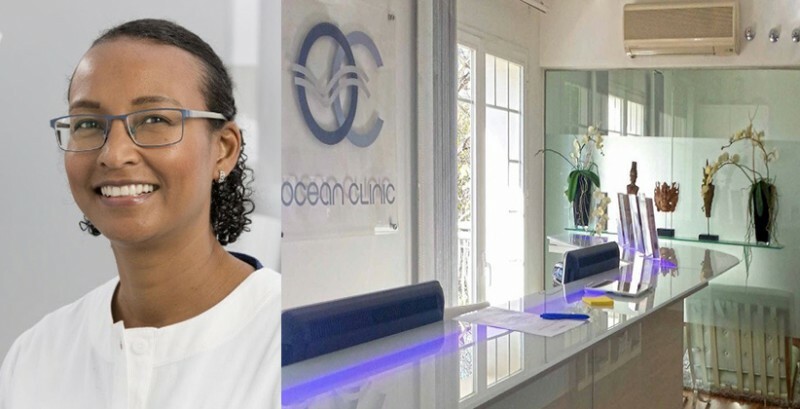 Ocean Clinic Marbella has announced on July 6th, 2018 the incorporation of Dr. Nina King as our resident dentist from this month onwards. Dr. King is one of the few dentists in Spain offering advanced aesthetic dentistry using digital smile technology (DSD). Dr. King is a UK registered specialist prosthodontist, focusing on cosmetic and advanced restorative dentistry. Although born in London, her extensive international experience stretches across five countries. She is one of the few dentists offering advanced aesthetic dentistry through (DSD) a digital smile technology. With this new DSD technology your teeth are scanned 3- dimensionally in your mouth, and possible aesthetic modifications like veneers and crowns etc. Can be simulated digitally to simulate your new smile. In addition, with CEREC technology manual impressions and try on models from the lab are not necessary anymore making the whole process is much more precise. When using CEREC you don’t have to wait for the dental lab to finish your teeth, as your new teeth can be milled directly in front of your eyes using the new Digital CEREC Milling System. The CEREC system offers maximum material diversity – innovative, versatile, silicate, oxide and hybrid ceramics, plastics – for individual tooth restorations such as crowns, inlays, onlays and veneers, bridges, abutments, and temporary or permanent dental solutions. Dr. Nina King has most recently returned to Spain in 2016 following completion of a full-time contract in Dubai working at one of the longest established clinics in the country in addition to holding a clinical teaching post on the postgraduate master’s programme. Nina adopts a very patient-centered approach, involving and informing the patient at every step of the way along the dental journey to ultimately deliver aesthetic results that match patients´expectations. However for results to work well long term, good health, and function are also of equal importance. “I TAKE MY WORK VERY PERSONALLY. I AM GRATEFUL FOR ALL THE PATIENTS WHO PUT THEIR TRUST IN ME AND I WANT TO GIVE THEM THE BEST POSSIBLE STANDARD OF CARE”. Born and raised in London, UK. Dr. King is a UK registered specialist prosthodontist, focusing on cosmetic and advanced restorative dentistry. She has an extensive international experience stretches across five countries. Throughout her 20-year career, she has worked and taught in many UK dental hospitals such as Leeds and Guy’s, as well as practicing in the West end of London (Piccadilly Circus) and running a community clinic.